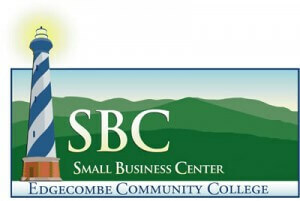 Edgecombe Community College’s Small Business Center develops long-term strategic partnerships with business and industry leaders and assists in small business start-ups and expansions. The Small Business Center (SBC) is part of a statewide network designed to support the development and growth of small businesses. Our mission is to increase the success rate and the number of viable small businesses in Edgecombe county by providing high quality, readily accessible assistance to prospective and existing small business owners. Our services are available for free or very low cost. Literature regarding business concerns, such as business plans, cash flow/record keeping, marketing and sources of funding is available in the Small Business Resource Center along with a computer for business research. We have an extensive referral network with partnering agencies such as the North Carolina Small Business Technology Development Center, the Tarboro Edgecombe Chamber of Commerce, the Rocky Mount Area Chamber of Commerce, and local and state government agencies.